For some, the phrase “made-for-TV movie” is synonymous with crap. Those people are what we might call…”correct.” However, much like a basketball whipped overhand from half-court, there is the occasional one that connects and scores. Snowbeast, is not one of those. Duel is one of those. 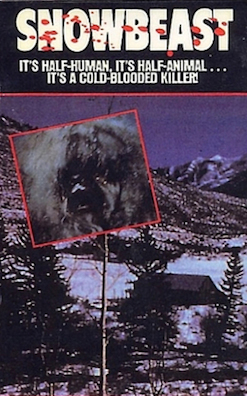 However, we are talking Snowbeast, an abominable Yeti creature feature featuring none other than the hulking Bo Svenson (not playing the creature). This 1977 production has a pretty game cast, but also some really odd romantic sub-plotting that our listeners will definitely get a kick out of. 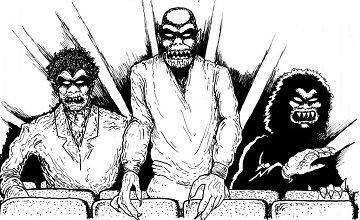 The plot couldn’t be any more simple: a monster is attacking skiers in a Colorado resort town. And it’s up to the resourceful townsfolk to, uh, cover it up…and then do something about it when it gets to the point where they finally do a cost / benefit analysis and realize dozens of deaths aren’t good for local tourism. It’s Jaws, on the slopes. Join us!